Located about five minutes' walk from Aomono-Yokocho Station, Marutomi is divided into two halves: the kitchen and a row of counter seats. The dish to try here is the unadon, which comes in two sizes – regular (¥2,000) and double (¥3,500). Plus, for an additional ¥50 you can opt for extra rice with either size. 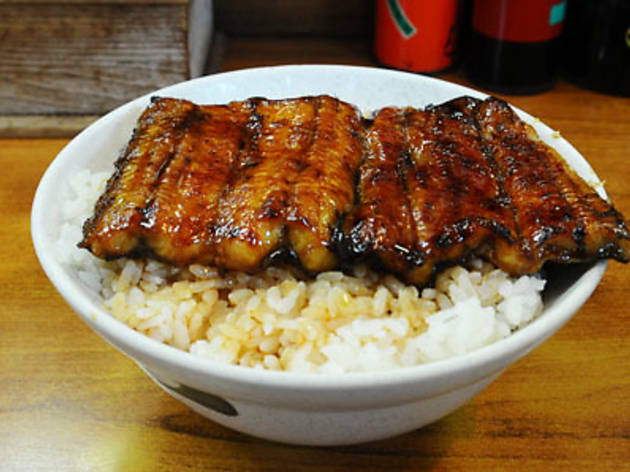 Many customers drop by for takeout; however, since the shop is continuously grilling eels throughout the day it takes almost no time to be served should you choose to eat in. 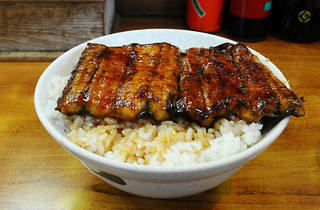 The eels here are fat and soft, come grilled in a thick, particularly sweet sauce, and the rice is just the right consistency; you'll be hard pressed to find better unagi at comparable prices. Judging by the shop’s appearance, you might think it appears a bit rough at first, but don’t let this put you off – the staff are warm, friendly and courteous.